Millions of businesses around the world use Northern Telecom phone systems for their communications needs, and Business Telephone Sales offers used and refurbished Northern Telecom* phone systems to your company at the lowest prices on the market. Nortel is well-known for their business communications solutions, including Voice over IP, multimedia services and applications, and wireless broadband services. Northern Telecomï¿½s contribution to pioneering high-tech communication services is now being offered to you through all of us at Business Telephone Sales, at extremely low prices. You realize that an effective and reliable communications system for your business is extremely important; without a good phone system, you will not be able to effectively communicate with your fellow employees, which will lead to a loss in efficiency and productivity. Also, you may not be able to communicate with your clients, which would lead to a decrease in revenue, which would prove to be disastrous to your business. By using a Northern Telecom phone system, you can avoid many of these problems. Instead of spending precious time messing with your phones, you can actually do the work you are supposed to do. With a Northern Telecom phone system, you won't have to worry about losing customers due to miscommunication. Northern Telecom (AKA Nortel) offers a variety of business phone systems for businesses of any size. Whether you run your business out of your living room or you are a manager in a multinational corporation, Northern telecom has a phone solution appropriate to your business. Browse through our inventory at www.businesstelephone.com to find the Norstar phone system that will keep you connected to your customers and associates. In this digital age, an effective communications system may be vital to the life of your company. If this is the case, then a Norstar phone system from Business Telephone Sales is the answer. 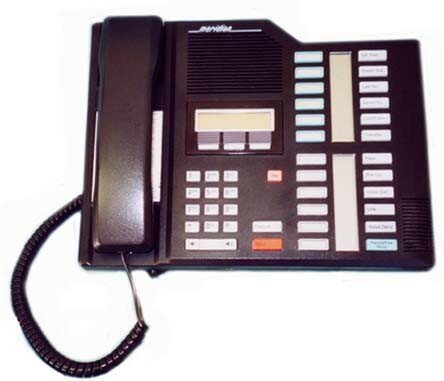 There are a variety of Northern Telecom business phone systems to choose from such as the Nortel Meridian 308 all the way to the Nortel MICS. Not all Northern Telecom phone systems are capable of supporting caller ID. The Nortel MICS and Nortel CICS will support caller ID. 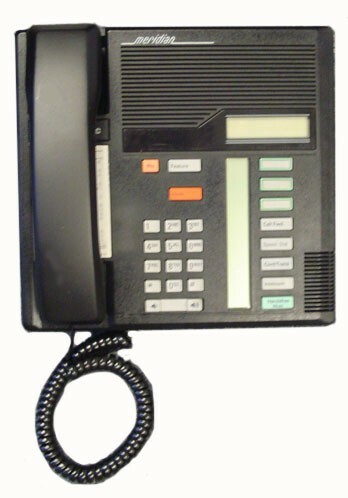 The older Northern Telecom 308, 616, and 824 are not caller ID compatible. Voicemail can be added to the Nortel MICS and Nortel CICS phone systems regardless of software revision. 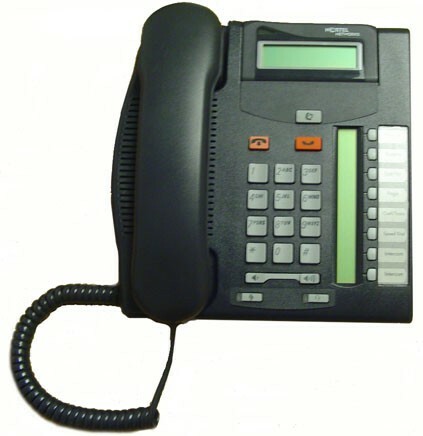 However, voicemail can only be added to the Northern Telecom 308, 616, and 824 if they have DR5 software. Any software in the NT 308, NT616, and NT824 that is lower than DR5 will not support voicemail. If you have questions on what system will support such features please call 800-396-9699 or email us. Nortel manufactures many model numbers of telephones. However, not all Northern Telecom phones are compatible with every Northern Telecom Meridian Telephone System. Business Telephone Sales only sells the M7000 Series and T7000 series telephones, such as the Meridian M7310 phone and Nortel Networks T7316 phones below at the lowest prices. At Business Telephone Sales, we have been supplying businesses across the country with high quality telephone systems for over ten years. We also offer a number of accessories for your phones, including: painted handsets, handset cords, line cords, plastic and metal bases, and designation strips. We take great pride in delivering effective communication systems that allow you and your employees to communicate with each other and your clients without interruption. Your telephone is often the most important piece of equipment that you utilize from day to day, and ensuring that you have a phone system that works as you need it to is imperative.